A California IoT startup inspired by Uber is now a subsidiary of payments processing powerhouse First Data. You can say what you want about Uber, few companies have come to represent the concept of business model innovation through connectivity as much as they have. By taking unconnected vehicles and linking them to a smartphone platform, the company radically transformed the user experience of people wanting to hail a ride. Instead of having to flag down a cab the old-fashioned way, you could simply launch an app and get an estimate of when the ride will show up. And when you get out of the car, you don’t have to worry about whether the driver’s credit card reader works. The payment transaction occurs automatically, receding into the background. “The smartphone helped make that possible,” says entrepreneur John Beatty. In 2010, Uber’s transformation of cab fare payments inspired Beatty to hook up with three other Silicon Valley–based entrepreneurs—Leonard Speiser, Mark Schulze, and Kelvin Zheng—to apply the Uber model to retail. 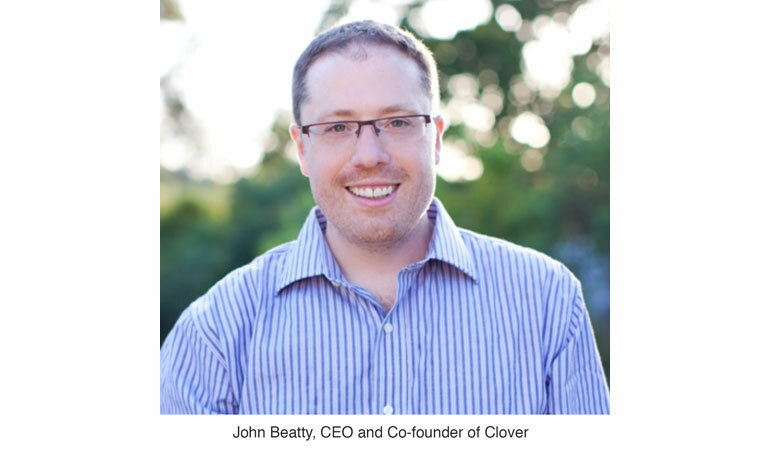 Within two years, the startup, named Clover, had attracted $5.5 million in Series A financing. So the company pivoted in early 2012. Instead of building a mobile wallet, the startup decided to lay the technological groundwork to enable that initial vision, bringing them into the IoT realm. In its conversations with merchants, the company realized that many of them were growing weary of legacy PC- and server-based payment processing technology and yet could see the potential of mobile devices and the cloud for payments. So Clover began developing an IoT system: an open payment SIM-card-enabled point-of-sale platform. They aimed to get it broadly distributed in retail, hoping to attract hundreds of thousands and potentially millions of merchants. They could then use this scale to woo an external developer community to make apps for Clover POS machines. After examining their options for going to market, Clover began speaking with the credit-card processor First Data (Atlanta, GA), easily one of the biggest players in payment technology. The company processes some 45% of all credit card transactions, serving six million business locations across the globe, representing $2 trillion in annual payment processing volume. Clover was impressed with First Data’s reach, and First Data happened to be looking for new ways to grow revenue and provide new services to its clients. “I would say it was very much a match made in heaven from that perspective,” Beatty says. First Data agreed to acquire Clover in late 2012. A few months later, First Data named Frank Bisignano as the payment processor’s CEO. The former co-COO of JPMorgan Chase, Bisignano wanted to turn First Data into a technology powerhouse. And 11 months after the acquisition, First Data commercialized Clover’s point-of-sale technology. Bisignano concluded that transforming the 43-year-old First Data into a technology-forward financial payments company would require working with organizations with complementary skill sets. And thus the company began hammering out agreements with global financial institutions like Bank of America, Citibank, and Wells Fargo and a network of tech companies such as Bypass Mobile and ShopKeep, both of which specialize in mobile point-of-sale technology. Clover also has embraced working with technology partners. It’s hooked up with Cisco Jasper to help with wireless management and Wavefront for metrics and monitoring. From Clover’s experience, it made sense to offload managing connectivity of the devices because of the sheer volume of devices located across the world and the dynamic nature of managing individual units. “At the factory, you want to turn on the connectivity for a device for a little bit to make sure it works, but you don’t want to have it connect when it is in transit,” Bui says. Wavefront, on the other hand, offers cloud-based real-time analytics. “We put a bunch of our device-level metrics into the cloud so we can analyze the health and utilization of our devices,” Beatty says. “We were Wavefront’s first IoT customer.” Just last month, VMWare announced its intent to acquire that company. An SAP executive shares his thoughts on everything from self-optimizing digital twin technology to the future of shoe manufacturing in an interview at Hannover Messe. Siemens’ Charter of Trust now includes four new partners: Cisco, Dell Technologies, oil and gas company Total and the global testing firm TÜV SÜD AG.